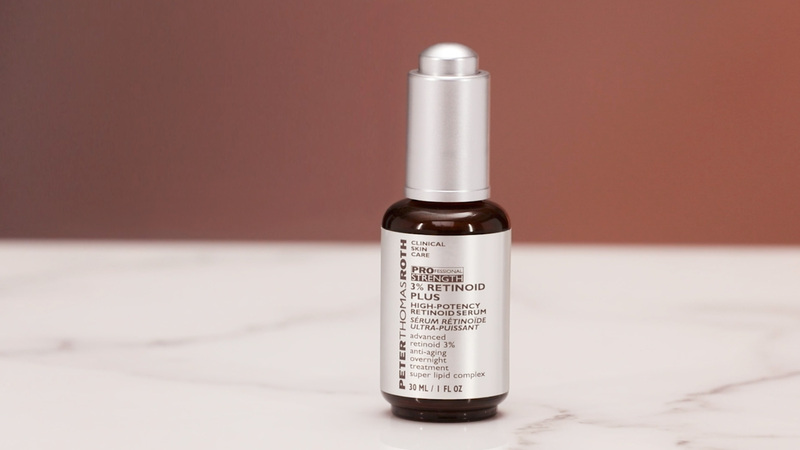 Professional Strength 3% Retinoid Plus is rated 4.0 out of 5 by 13. Contains high-potency advanced 3% Retinoid, a form of Vitamin A that is more effective and stable than other forms of retinol. This lightweight overnight treatment helps even the look of skin tone and reduce the appearance of fine lines and wrinkles. Contains high-potency advanced 3% Retinoid, a form of Vitamin A that is more effective and stable than other forms of retinol. This lightweight overnight treatment helps even the look of skin tone and reduce the appearance of fine lines and wrinkles. Exclusive Super Lipid Complex hydrates as it helps infuse the skin with moisture and calm the look of skin. Potent engineered molecule that helps reduce the appearance of fine lines and wrinkles and enhance the look of skin tone and texture. Helps tone and condition the appearance of skin. Apply nightly to cleansed face. If mild irritation or redness occurs,use every other night until skin adjusts. Gradually build to nightly use. Use SPF protection during the day. For external use only. Rated 5 out of 5 by Marc from Amazing Results! I started using this product 5 months ago and it's been a "WOW" as far as the changes to my face. I spend a lot of time in front of a camera and have started thinking of having some "work done". I started using this product and within the first month noticed amazing differences...less lines better skin tone and the difference is remarkable. I threw out all products not from this company. My biggest fear is I run out of something! Rated 5 out of 5 by Sammie from Repeat customer A friend let me try an application and I loved the consistency. She loved how it worked as well so I decided to give it a try. This is my second order for this product. When the sale came up I was thrilled. My friend and I both did a little stocking up. Give this a try and be patient. You'll be back too. Shipping was very fast and thank you so much for the three samples, love 'em! Rated 5 out of 5 by Mellie 10287 from Love Love Love!! I have been using the PM formula in the blue bottle for years. I am more than happy to jump up to this stronger formula. My skin is dramatically better. I have almost no lines... basically only when I smile! Rated 5 out of 5 by CJbee from Compliments and results for me! I had compliments from my esthitician and a younger friend! Both asked me what I've been using. My secret is OUT because I shared! Rated 5 out of 5 by Letty from Peter thomas 3% retinol I purchased this 2 weeks ago so far so good I see a difference in the eye area. Leaves skin soft , not greasy absorbs into skin . I'm really happy with this product .only thing that concerns me is the dropper . I have heard retinol break down if exposed to air and light , the bottle is dark so that's ok . But to use I have to open and pull dropper out , exposing it to air ,I paid 88 dollars plus tax for this product, I would hate for it to break down before I even finish the bottle . Rated 1 out of 5 by bbueller from Destroyed under eye area I used the product on my face and under the eye area at bedtime. No where on the website nor the package does it say to not use the product under the eye area. After months of not using the product, my skin under the eye is so damaged and I now have more wrinkles and pronounced damage than I did when I first starting using the product. Warning to not use this product under the eye - I have more wrinkles than when I started using this product. Rated 1 out of 5 by Arbil23 from Devistated I bought this product in hopes it would take care of a couple of small spot of hypigmination. I have pretty clear skin (I get maybe 1-2 small zits around cycle) and I get oily in T-zone. My skin was completely clear before using this. I used the product according to instructions and didn't see any change except my skin was a little more oily. Then about a week after continual use my my skin started to break out badly with cystic acne. I lessened my use to every 3 days and still broke out. I stopped using product about a week ago now and I'm still getting about 5 or More new pimples a day. I'm horrified and devistated. It's summer and I can't even go out in the sun because my Face is so Inflamed and bumpy. I don't want to go out in public or even look in the mirror. This product has destroyed my self esteem. Wish I never tried it. Dear Brenda62, Thank you for contacting us. Professional Strength 3% Retinoid Plus base is a silicone that acts as an emollient. The texture is very runny- similar to an oil, it is not a lotion texture. Is this stronger than PTR regular retinoil? Dear Rae13, Thank you for contacting us. Yes it is stronger. Is this to be applied after Toner and after applying this retinol, do we still need to apply the Potent C or any other serum on top of this Retinol? Dear ALee, Thank you for contacting us. 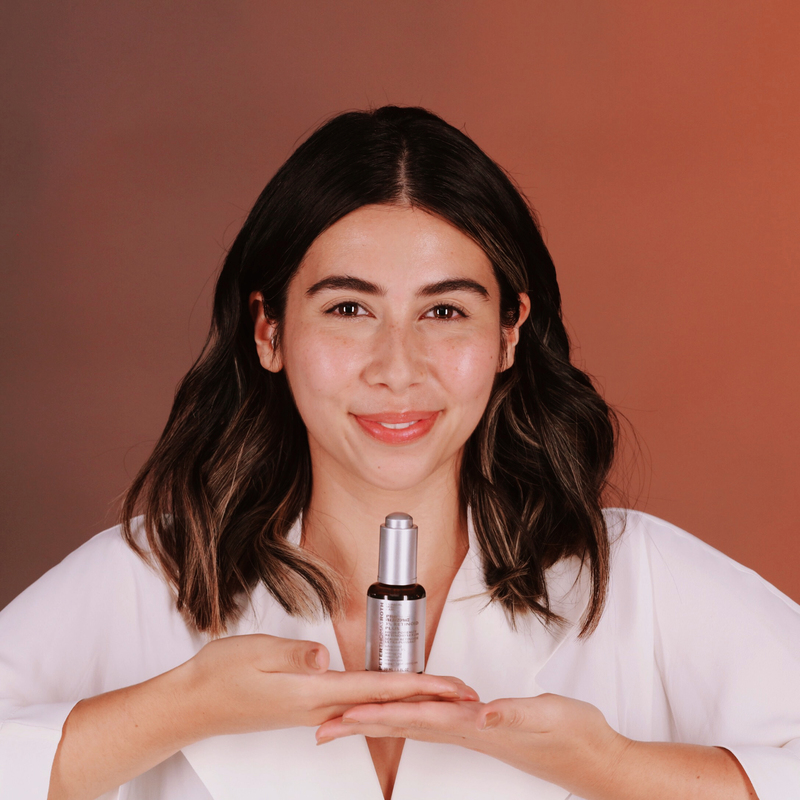 You can use the Retinoid at night and the Potent-C Serum in the morning. 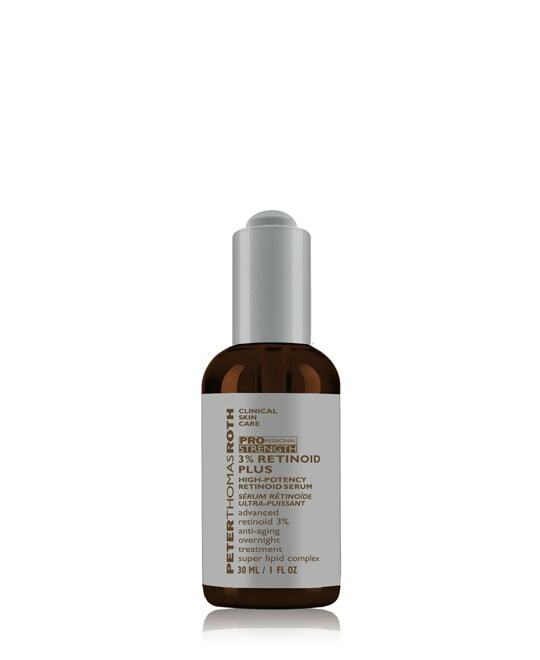 Yes you can apply Retinoid after cleansing and toning. This evening I had the unfortunate mishap of dropping my lid/dropper on the floor and the dropper portion broke. Is there any way of getting a new lid? Dear kchapmanw, Thank you for contacting us. We will be more than happy to send a replacement dropper. Dear Nikki999, Thank you for contacting us. Avoid layering with other retinoid or retinol products. 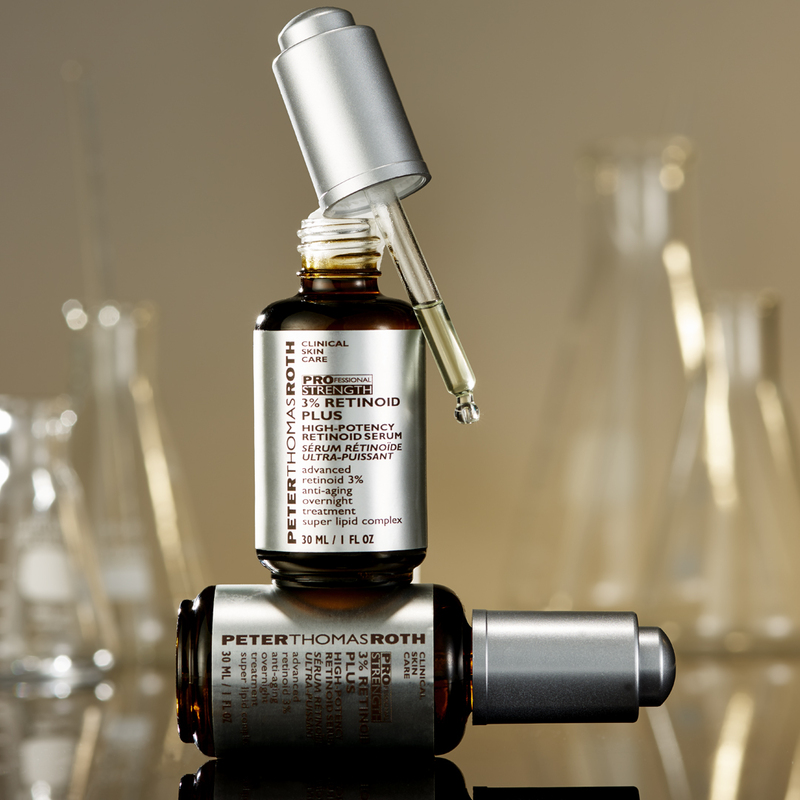 All other PTR products are approved to use with Retinoid plus. Dear Estefania, Thank you for contacting us. You can certainly apply a moisturizer after this product. You can wait up to a minute after applying this product. Our team advises applying our products on a thinnest-to-thickest basis. It's best to allow each layer to dry and absorb into your skin before applying the next product. Generally, serums will be applied first, followed by moisturizers. Is this actually 3.0%? or is it 0.3%? I ask because I've heard repeatedly that anything over 1.0% requires a prescription, and obviously this does not require a prescription. Thanks for clarifying! Dear MCWDLS, Thank you for contacting us. We are unable to disclose the percentage. Our Retinoid do not require a prescription.